Silver Rally & Gold Decline? QUESTION: Mr. Armstrong; there are claims that silver is in short supply and since the prices are low that proves it is a manipulation. This seems to be the same constant theme to sell metals yet at the same time they are saying it is manipulated so why bother? Can you shed any light on these assertions? ANSWER: There is no truth to these claims. When a commodity is moving opposite of its sector, then there is something to look at. These same people told everyone to buy silver for it was heading to $100 back in 1998. They claimed a fake shortage because the manipulators simply moved silver from NY to London. It is always the same scheme. Just look at these two charts. 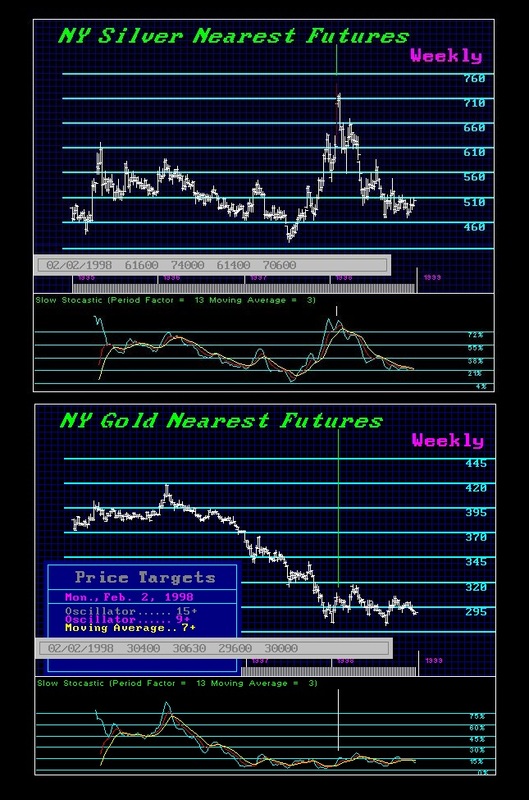 Gold was declining into early 1998 when silver was rallying. This was the Buffet involvement; the big players all knew this was rigged. The profits always rely on manipulating to the upside, not to suppress a market indefinitely to keep it down. Where is the profit to just suppress a market? There is none. Those who manipulate markets are in and out. They are looking for instant profits, not 20 years down the road. Silver was rallying and gold was declining. That was a clear sign that something was wrong. Today, all commodities are under pressure. This is a commodity deflation. Demand has been on the decline no matter what they claim. So this is a sector move and nothing is out of the normal. It will turn when the time is right, but they are trying to make a living by selling to you every day.